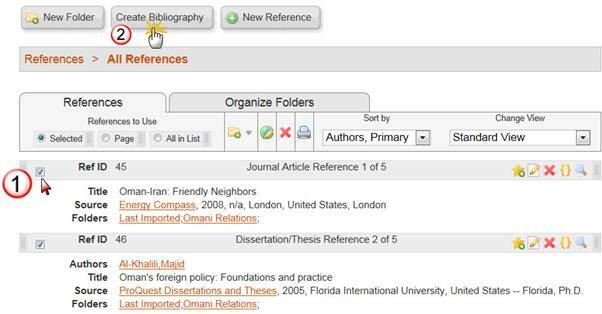 export bibliographies in several document types (e.g. Word, RTF, HTML). 4- An e-mail , including username, password and subscriber group code will be sent to you as soon as you signed up. 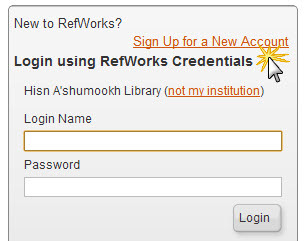 Hint : By clicking (not my institution) and filling in the subscriber group code, you can get access from outside Hisn A'Shumookh Library. ProQuest Central, Medline, Eric, Library, Information Science & Technology Abstracts and EBrary all support importing reference to Refworks. 1- Run a Search in those databases. 2- Select References and then select Export, Choose export to RefWorks. 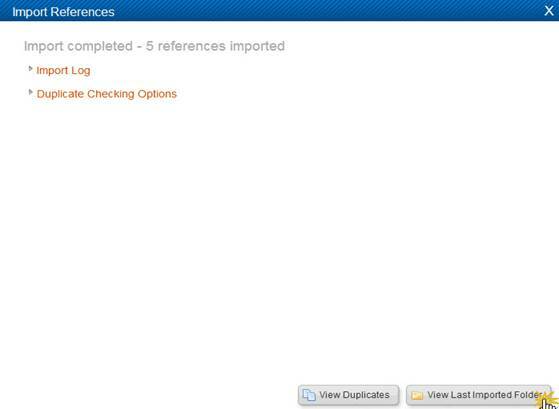 3- Your records should appear in the Last Imported Folder. 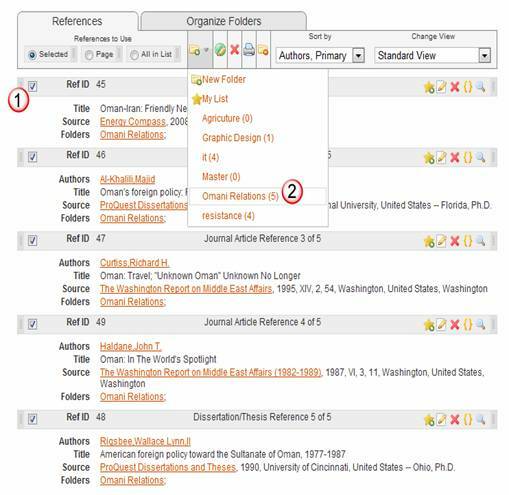 You can manage your reference by adding them to folders, adding citation for a paragraph, deleting reference as well as creating bibliographies. 1- Make tick for to references. 2- From organize folder, move to the desired folder. 1- Click on the Curly brackets of the desired reference. 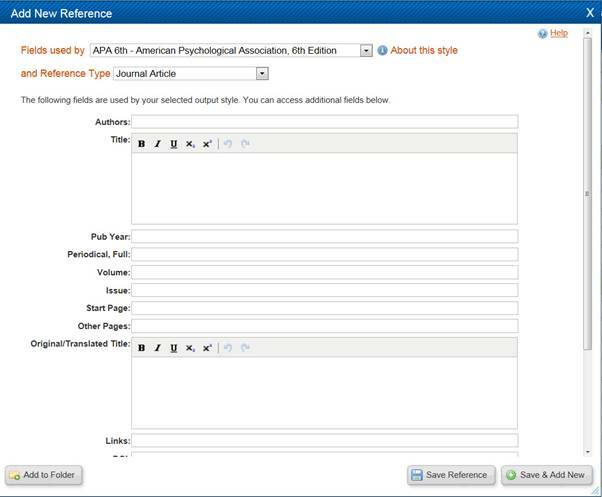 2- Click on select to copy the citation and then paste in the paragraph which you want to add citation to. 3-Chose citation style from the list and click create bibliography. بالامكان ايضا إضافة بيانات ببلوجرافية يدويا من خلال ايقونة مرجع جديد ثم إختيار الحقول المناسبة و طباعة البيانات الببلوجرافية مقابل كل منها. 1. RefWorks 2.0 Tutorial - An interactive tool that guides you step-by-step on how to use RefWorks. Hands-on exercise is also available.